Come home and live in the highly desirable golf course community of Cypress Creek Village. Located 2 mins from Sun City Center and so close to major roads, amazing restaurants, night life, etc. 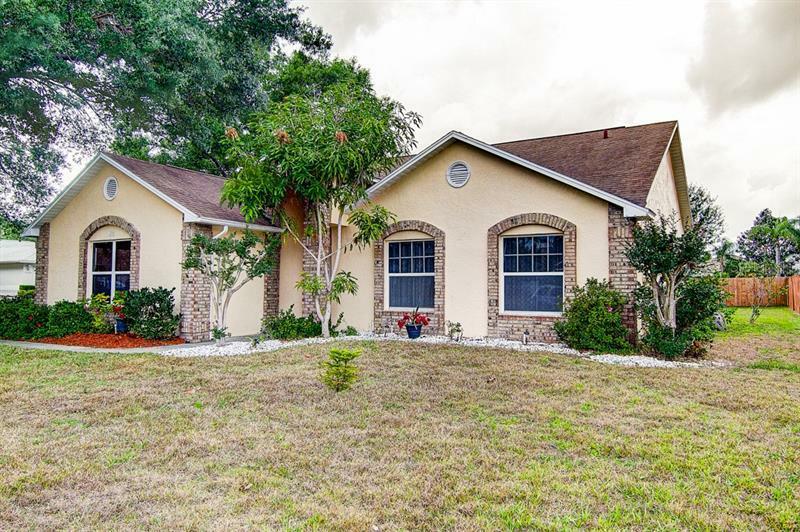 This 2 Bedroom , 2 Bath Pool home with a den/office (I'm sure you could use it as a bedroom if you needed to) with a 2 car-garage on an a huge corner lot is in great shape both inside and out. This is a huge corner lot and the backyard with the pool is so private. You're going to love this house and will understand what I mean as soon as you walk in the door and see the massive fireplace and incredible floors. The interior has been newly repainted and looks great! You will surely be in love. The Family Room is large and has plenty of space to entertain or just relax. The Kitchen has solid wood cabinets and newer appliances that are in good shape. There is a very large Breakfast Nook/eat-in-kitchen so yet another place to sit and eat besides the bar counter. As soon as you come see this home, you will appreciate it as soon as you drive up and see the brick edged exterior. Make your apt today so you don't miss out!